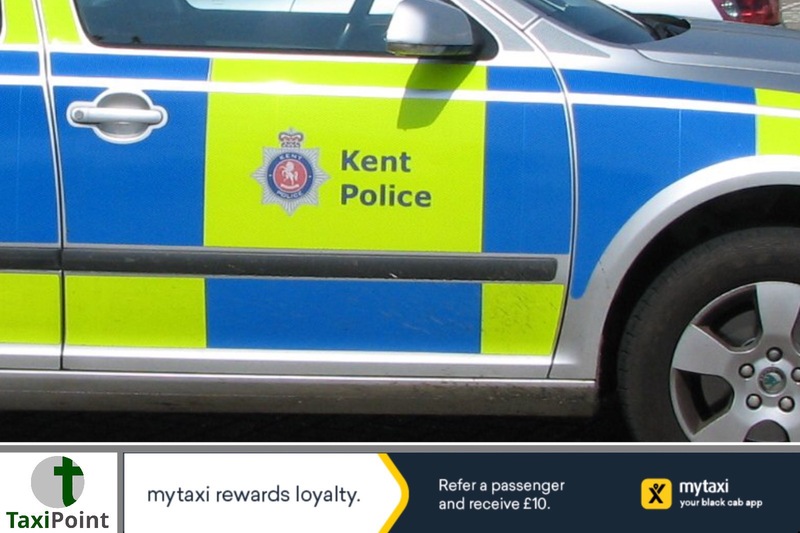 Police in Kent are appealing for help after a second taxi driver was threatened with a knife and robbed near Sittingbourne at the weekend.It is reported to have happened at about 8.30pm on Saturday in Flanders Close, Kemsley, after a man had called to book a taxi from the area.The victim had knocked for the man when he appeared from nearby and told the taxi driver the call was for him. As both men got into the taxi, the man pulled out a knife and used it to threaten the taxi driver.The victim quickly got out of the car and locked it with the man still inside.The suspect then kicked out the front passenger window before climbing through it and running off with the driver's wallet. He ran out of the close and towards Ypres Drive, in the direction of the train station.The suspect has been described as a white man, about 5ft 10ins and wearing black baggy trousers, a dark long sleeved baggy top and a white scarf with blue stripes, which was covering his head so only his eyes were visible. Officers are connecting this to a previous robbery, in which another taxi driver was threatened with a knife and robbed.This was reported to have happened between 10.30pm and 10.40pm last Wednesday in The Meads Avenue in Quinton.The driver was robbed of cash after a man had booked a taxi.The suspect had been described as white, stocky, about 5ft 10ins and wearing a grey jumper, dark grey jogging bottoms and a black scarf, which was covering most of his face.He was also wearing a pair of gloves and the hood to his jumper was pulled up.Anyone with information should call police on 01795 419119, quoting crime reference XY/58943//18.